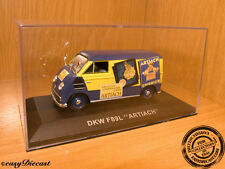 DKW F89L F-89-L "ARTIACH" 1:43 MINT!!! 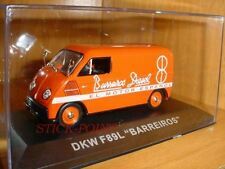 DKW F89L F-89-L 1:43 "BARREIROS DIESEL" MINT WITH BOX!! DKW F89L F-89-L "DANONE" 1:43 MINT!!! DKW F89L F-89-L 1:43 "MORITZ" BEER INCLUDES BOX! MINT! Beautiful miniature 1:43 IXO Altaya DKW f89l Artiach. DKW f89l 1:43 "Danone" ornament mint!!! DKW F1000L F-1000-L "IBERIA"1:43 MINT!!! INCLUDES BOX! DKW F1000L F-1000-L "PASTAS GALLO" 1:43 MINT!!! This page was last updated: 19-Apr 18:10. Number of bids and bid amounts may be slightly out of date. See each listing for international shipping options and costs.